What do I need to consider when buying hardware to meet my needs? I'm looking to build a new computer from the ground up. I'm not sure what to look out for and need guidance and help on how to pick the hardware needed to construct my new rig. How do I find out if a given CPU will be enough for a certain game or application that I want to run? How do I find out if a given graphics card will be enough for a certain game or application? 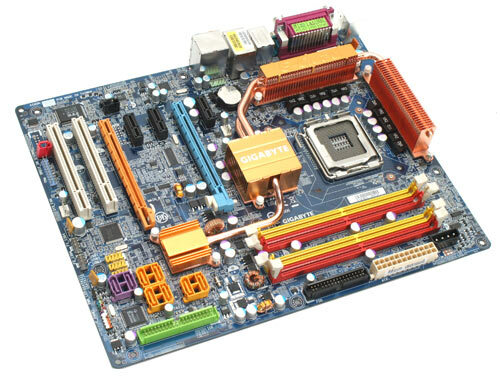 What is important when looking at motherboards? How do I know how much wattage I need for a power supply? What size case do I need? What relevant standards do I need to read up on and be aware of? What "gotchas" do I need to be on the lookout for? Please keep responses generation-agnostic to ensure they will be helpful to our future users. While Stack Exchange does not permit shopping recommendations, it doesn't provide any general advice to consider when buying hardware. So, instead of just telling those that ask what to buy that it's not allowed, let's tell them how to figure out what they need. Read the June 20, 2011 blog entry for more details or submit your own Question of the Week. 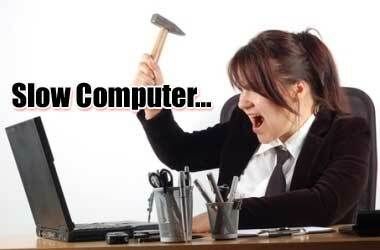 Buy a computer for the upcoming years, not for today. Let's assume you are still at an university and that you probably want to get a computer for gaming purposes. In about a year you will graduate and have a very mobile life, but you're out of money to get a new laptop and the company laptop can't be taken home. Wouldn't you wish you had bought a laptop? Or assume that you are an architect student and want to become one of the next big architecture designers. If you bought a computer which is barely able to run the architecture software but not able to handle all the layers, then you will probably regret that you haven't spared or paid a little more for a better computer. Get to know the hardware you are planning to buy. Get an idea of what your new computer would be able to do, so you don't regret what you bought the moment you start using your new computer. This requires some effort, but this learn you about how powerful hardware really is and it's better than to regret afterwards. See what your local computer stores have to offer by visiting their online websites or fetching some folders from them. Use your favorite search engine to gather some reviews for the hardware that seems, when it doesn't fit your needs and when you need to compare you can look into some benchmarks. Don't forget to visit the manufacturer's sites too, especially the technical details. What are some good benchmark and review sites? Tom's Hardware has an extensive library of performance benchmarks and reviews for all kinds of graphics cards, hard disk drives, processors, power supplies, memory cards, servers and monitors. 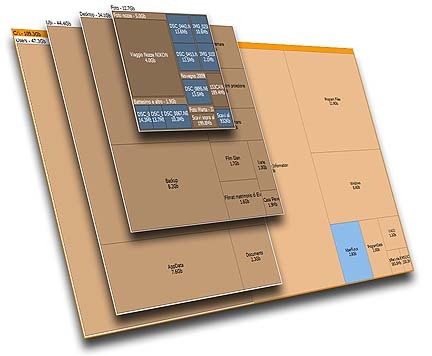 Alongside performance you will also be able to find charts for noise, temperature and a set of other characteristics. In the Benchmarks section of PassMark Software you will find comparison lists for processors, video cards, hard disk drives and even full systems. They aren't extensive in the mather of detail, but a ton of hardware benchmarks are incorporated in the system on a daily basis which makes it very accurate. When buying a laptop, make sure you don't forget to check Notebook Check. They benchmark and review laptops inside out, they even do display brightness distribution, noise levels and body temperature spread, so I doubt if you will find websites that go more into detail on a broad sets of laptops than this website does. Now that we know where the benchmarks and reviews are, let's look at what else we need to look for. 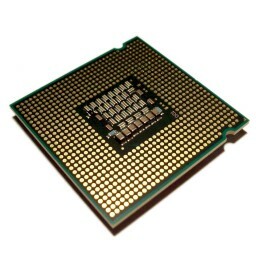 What to look for in a processor? First, determine the amount of speed (CPU clock frequency, the unit is GHz) and cores you will need to get the job done. For a good understanding how speed applies to multiple cores, calculating clock speed in multi-core processors has some detailed explanation how you really should look at it. Just don't mindlessly compare the speed of different cores with or without multiplying them by the amount of cores, but get an idea of how it works. The processor also has a bus speed which determines how fast the memory will run. There is also an internal cache (just like in your browser) that brings a piece of the memory closer to the processor; so the amount of internal cache memory also plays a role and can make a difference in speed. What to look for in memory? Memory is really about size in the first place, as having a low amount of size will result in disk thrashing when you run out of memory which is what you will want to avoid. When you have enough size you can then look further in the speed of the memory, but make sure that you buy the right type of memory that your motherboard can handle. Since 2011, getting anything less than 4 GB today can be considered silly with the growing needs for memory and the cheaper prices. Buy as fast memory as your motherboard can handle, but remember that if money is an issue (as it normally is) it's better to buy more of a bit slower memory than less of a very fast memory. Also remember it's usually best to buy memory in pairs as most motherboards support dual channel. What to look for in a hard disk drive? With changing hard disk drive (HDD) technologies these days, it can sometimes be confusing and frustrating when you are looking for storage. As this is where your all your applications and data will be stored one of the most important hardware components to understand, and make sure to verify if it is completely suitable for your uses and does have the options you may or may not need. First thing to consider is whether you are going for an SSD, a hybrid drive or just a hard disk drive. Jeff Atwood has a three-part article on performance between different hard disk drives, hybrid drives and SSDs. The main idea is that when you go for an SSD, you also buy a second hard drive where all your data can go to. When you go for a HDD alone you have the option to go for multiple of them in a RAID of multiple drives to get either speed or recovery advantages. When you have decided whether you go for a big SSD alone, a small SSD and bigger HDD, a hybrid drive or (a RAID of) hard drive(s). The next step comes into determining the amount of data you will need to store in the upcoming years. For the operating system and applications, most users are fine with 50 GB or more, super users with 100 GB or more, and extreme users will go up to 150 GB or more. On top of this comes the amount of data you will be planning to store, which really depends on how you use your computer. Take a look at your current space usage with a tool like SpaceSniffer, which should give you a rough idea. If you don't know you can also go for what you deem sufficient enough and you can always add extra (external) hard disk drives later. 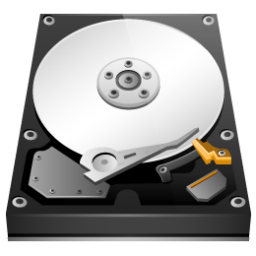 When you buy a hard disk drive, the rotation speed (the unit is rounds per minute or RPM) is the main factor that determines the speed. Typical speeds are 5000 RPM, 7400 RPM, and 10000 RPM. Next to that just like the browser and your processor cache the amount of hard disk drive cache also determines the speed for a portion. Other than that it all boils down to understanding the technology; consulting technical details, reviews and benchmarks. What to look for in a motherboard? Other than that, it also has to fit with the chassis you are planning on placing it in. So if you're planning on a non-standard chassis then you might want to look for specially designed motherboards too. Perhaps a shuttle is totally for you? What to look for in a computer case? One thing to consider, if you're going for a relatively high-powered machine (high end graphics cards for gaming or CAD, a multi-core processor that you intend to overclock) is chassis cooling. Reviews are usually pretty good about pointing this out, but you want something with good airflow and plenty of places to put the fans. Consider upgrading the fans if it's a heavy use machine like this - they'll be quieter and last longer. What to look for in a power supply unit (PSU)? 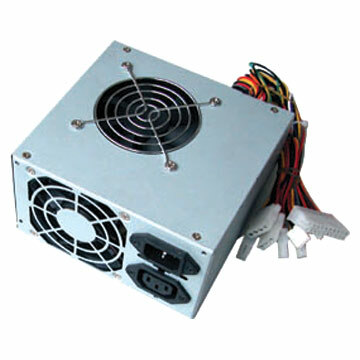 The PSU converts 100, 120, or 230 volt AC to the 12, 5 and 3.3 volt DC that your computer's hardware needs. These voltages are distributed through connectors, also called rails, to individual hardware components inside your computer. 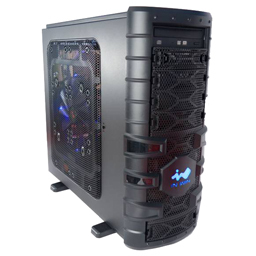 The 12 volt rails run the fans, hard drives and optical drives, while the 5 and 3.3 volt rails power the CPU and other electronics. In the first place, it's important that the power supply can support your computer hardware in terms of wattage. Go through a power supply calculator or sum up all those wattage's listed in the technical specifications, then look for a PSU that supports this amount of wattage. Better higher instead of lower than the wattage. Next, check if there are enough power supply connectors and if they are compatible with the motherboard. Other things to look at are the ratings, quality and safety considerations; but in overall you should be fine if you watch out for that you don't go for a bad quality one. Compare hardware quality and prices. It's better to compare different hardware products and go for the best quality / price you can find rather than to go with the first things you meet and come up with a bad quality computer that has cost you a lot. Make sure that you double check that the components fit on the motherboard, check the specifications! Purchase a motherboard that will accept next year's CPUs. That way you can upgrade without purchasing a whole new setup. Be certain to purchase a high-quality power supply. Just getting one that's "rated" for hundreds of watts could cause a nightmare. I've helped people who purchased a case+power supply combo for less than $80. Even though the power supplies were rated for 500 W, they were not able to power a single decent graphics card. Also, cheap power supplies have low efficiency, so they waste electricity and get much hotter. Make sure the power supply you select has an 80 PLUS rating, which indicates good power efficiency. Also, check reviews on a site like Newegg. Write down on paper EVERYTHING you need and everything you want! Almost all programs or games have a "System Requirements" section. Check those out. Again, check out the specs. I've found that rankings like this are good rough estimates. It really depends on what you're doing. I've found that running something like Call of Duty MW2 requires only 1-2 GiB maximum. On the other hand, compiling a program like Chromium can easily use up 8 GiB of memory, otherwise it will spill to the disk. As of this writing, 4 GiB is the norm for laptops, and I think 8 GiB is the norm for desktops. Do not feel like you need more, unless you run multiple memory-hungry programs at once, e.g. Photoshop, movie editing, Call of Duty, 40 tabs in Chrome, Matlab, etc. simultaneously. It really depends on your hardware -- I can't think of any general guidelines for this, sorry. Again, it really depends on your hardware -- the more you pack in, the bigger your case. One rule, however: If you plan on upgrading, get a bigger case so that it's easier to work with. USB 3.0: Don't waste your money yet; USB 2.0 is fine, unless you regularly back up terabytes of data daily/weekly. SATA: Go for 6 Gb/s. Do not use PATA for any reason; it's a lot slower. DDR3: Go for DDR3 RAM (with ECC if you're really paranoid about error correction, though mostly not needed); most computers nowadays support it, so this shouldn't be too difficult. Firewire: Might come in handy for connecting other devices. BluRay: Good for future-proofing (or if you buy BD movies), but don't waste your money on BD burners until they get cheaper (unless you really need them). PCI/PCIe: Look for something to be there, but don't base your entire purchase on this, unless you specifically know what you're going to be upgrading later -- as long as something is there, it should be fine. Wireless: For moderate usage, wireless G is good enough. If you're on the heavier side, have wireless N. Don't freak out about getting the latest edition unless you know you need it (you probably don't). Screen resolution: If you like your eyes, get something typical. If you don't mind blinding them (at the expense of productivity :P), get something higher -- e.g., for a 14-inch laptop, I look for 1600x900 rather than 1366x768 screens. Have a DVD burner! Don't give it up simply because you think you won't need it, because it will make your life easier. Keep a hierarchy of needs in mind. Do you mostly game? Then you'll want the best CPU and graphics card you can afford. Those choices will determine the range of motherboards you can afford, which will affect RAM, connector possibilities, and other things, and everything combined will determine the sort of PSU you need. Do you absolutely need a specific port to do something specific? Then you need to find a motherboard or expansion card with it, and that will dictate your other options (CPU, graphics, PSU). How much you can afford to spend. Then get the best machine you can afford that will assuage your needs at the time you need it. For performance questions (CPU, graphics, motherboard), use benchmarks and forums. There are simply too many to list here. Listening to podcasts by people who know what they're about can also help. Once you know what parts you want, find a trustworthy PSU calculator and give yourself a little (but not too much) headroom. Then get a case it all fits in. Insofar as being concerned about standards and what version of USB, SATA, and PCI-Express (or some such) your motherboard comes with: you pretty much get what you get, unless you go seeking out a particular feature. If you're seeking a feature, research it. If you're not, don't bother. How do I find out if a given CPU and GPU will be enough? As mentioned here already, buy for the future. If you are looking at a CPU or a GPU that meets the minimum requirement (or even the recommended requirement) for the games you want, go another step up if your budget permits. You will thank yourself in the long run when you aren't building another PC in 2 years. Personally, it took me 5 months to build my PC. (I did it piece by piece on a pretty slim budget.) But in the end it was worth waiting for every piece. Connectivity is what you should be looking for. I would recommend picking out a motherboard and CPU first and then matching each new component with that. As with CPU and GPU stay ahead of the times, a few extra dollars now goes a long way in the future. It would depend on usage and the OS you plan on installing. If going 64-bit Windows 7 and if you are aiming for a gaming machine 4 GB should be the bare minimum. Not a thing wrong with 8 GB, but anything more than that at the moment wouldn't increase performance a substantial amount. But keeping with the idea of staying ahead of the times get a board with more than 2 slots. This should be based off of what your components need. 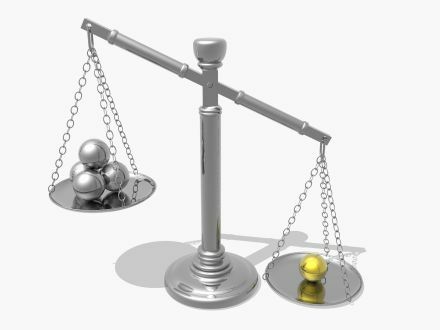 There are a few sites out there, such as the links listed below, that help you calculate how much power you will need. RAM specifications (1600 or 1333), voltages, etc. Make sure all components will work with one another. Don't have everything ready to put together and you realize your RAM is not listed as compatible with your motherboard, or you have a graphics card not supported by your board, or your power supply doesn't have enough cables to power everything. Not the answer you're looking for? Browse other questions tagged hardware-rec benchmarking community-faq or ask your own question. How do I choose hardware for a gaming machine, and which components are the most important ones? How do I calculate clock speed in multi-core processors? How do we assemble a computer properly? Given enough detail about a PC is it possible to calculate an accurate benchmark? What hardware combination should I consider for a 20TB file server? What are the things I need to consider when choosing a new graphics card? Lots of DDR2 and older CPUs or small amount of DDR3 and a newer CPU? What can I buy at radio shack to serve as a power switch for my desktop computer? What should I look for in optical/hardware resolution when buying a scanner? How can I determine if a GPU will play 1080p before purchasing it? What minimal laptop requirements, so I can play Sims 3 and/or Minecraft?